Deep Blue Professional 45 Gallon Frag Tank. This beautiful low-profile aquarium is perfect for home hobbyists to propagate and show off their home-grown coral specimens. Also makes a great turtle environment. Deep Blue Professional Model 60 Frag Tank Aquarium Built to Last, Designed to Impress. Features: Universally sized injection molded frames, industrial strength black seal, thickest distortion free glass in industry, diamond polish edges, and tempered glass technology (select models). Ideal for both freshwater & marine aquaria. 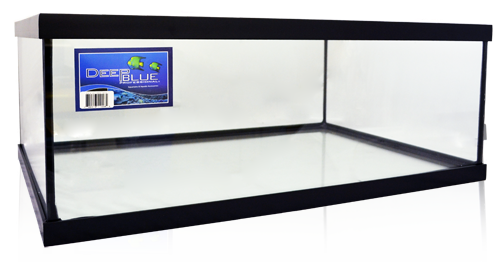 Deep Blue Professional Frag Tank 80 Gallon Built to Last, Designed to Impress. Features: Universally sized injection molded frames, industrial strength black seal, thickest distortion free glass in industry, diamond polish edges, and tempered glass front, back and bottom panels. Ideal for both freshwater & marine aquaria. Deep Blue Professional 45 Gallon Reef-Ready Frag Tank Built to Last, Designed to Impress. Features: Universally sized injection molded frames, industrial strength black seal, thickest distortion free glass in industry, diamond polish edges, and tempered glass front, back and bottom panels. Ideal for both freshwater & marine aquaria. Includes a corner overflow and reef plumbing kit. 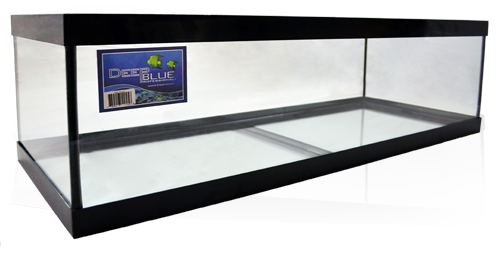 Deep Blue Professional Model 60 Reef Ready Frag Tank Aquarium Built to Last, Designed to Impress. Reef Ready Models include compact corner overflow pre-filter, pre-drilled drain & return holes, complete plumbing kits, and patented Floodgate technology. All Reef Ready Models have upgrade bottom panels which are drilled and then tempered for extra strength & safety. Features : Universally sized injection molded frames, industrial strength black seal, thickest distortion free glass in industry, diamond polish edges, and tempered glass technology (select models). Ideal for both freshwater & marine aquaria.  Deep Blue Professional Model 80 Reef Ready Frag Tank Aquarium Built to Last, Designed to Impress. Reef Ready Models include compact corner overflow pre-filter, pre-drilled drain & return holes, complete plumbing kits, and patented Floodgate technology. All Reef Ready Models have upgrade bottom panels which are drilled and then tempered for extra strength & safety. Features : Universally sized injection molded frames, industrial strength black seal, thickest distortion free glass in industry, diamond polish edges, and tempered glass technology (select models). Ideal for both freshwater & marine aquaria. Deep Blue Professional Rimless Mini Frag Tank 30 Gallon This beautiful rimless-style aquarium is perfect for home hobbyists to propagate and show off their home-grown coral specimens. Non-tempered glass construction adds versatility. Also makes a great turtle environment. Deep Blue Professional Reef-Ready Rimless Mini Frag Tank 30 Gal This beautiful Reef-ready rimless-style aquarium with corner overflow is perfect for home hobbyists to propagate and show off their home-grown coral specimens. Non-tempered glass construction adds versatility. Also makes a great turtle environment. 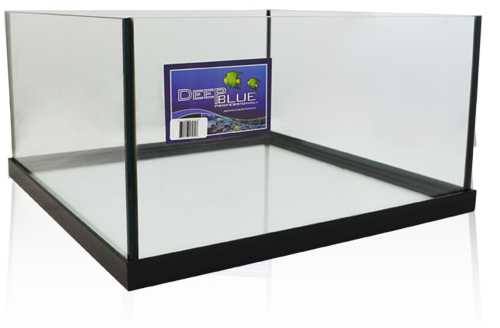 Deep Blue Professional 34 gallon Reef-Ready Rimless Frag Tank. 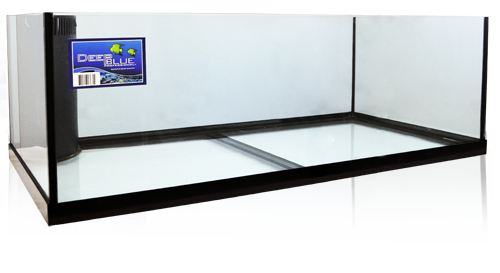 The 34 gallon Rimless Reef-ready Frag Tank is our intermediate-size rimless frag tank. Smart Euro design with black silicone, the rimless top design features precision diamond-polished edges for an ultra-smooth finish. Pre-drilled reef-ready design comes complete with left-rear overflow column and internal plumbing kit. 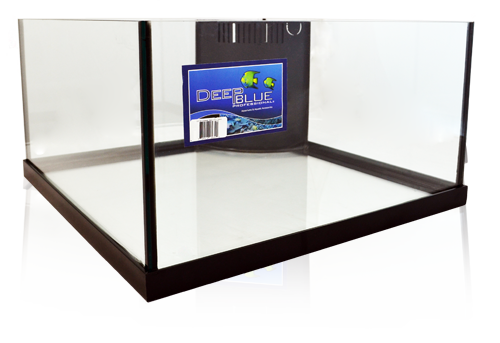 Deep Blue Professional 60 Gallon Rimless Reef-Ready Frag Tank Deep Blue Frag Tanks offer shallower depth than standard tanks, allowing better light penetration for enhanced coral growth. Diamond-polished edges provide a beautiful finish. Prefilter with Floodgate technology in the left-rear corner and 12 plumbing kit are included. Tempered bottom panel. Deep Blue Professional 80 Rimless Reef-Ready Frag tank This premium frag tank features a sleek rimless Euro design with black silicone. Tempered bottom for safety. Reef plumbing kit included.